Includes the complete script, lryics and stills Interview with executive music producer T. Bone Burnett Introduction by muic historian Elijah Wald Quintessential Coen brothers fare - but different. Inside Llewyn Davis has a certain kinship with Les Misérables. In it, almost all the principal actors - Oscar Isaac, Carey Mulligan, Justin Timberlake - sing. 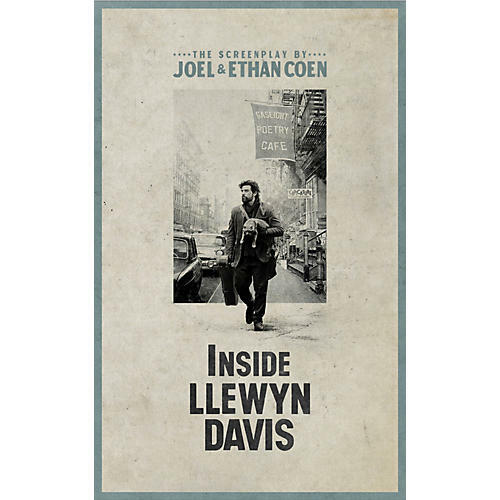 While not quite a musical, Inside Llewyn Davis is built around full-length performances of folk songs that were heard in the grubby cafes of the Village in a year when Bob Dylan, who kind of, sort of shows up in the movie, had just appeared on the scene. Bob Dylan, Paul Clayton, the Rev. Reverend Gary Davis, Joni Mitchell, Tom Paxton and myriad other singers of the era are invoked in the film. Its story bounces through actual places like Gerde's, the Gaslight Café and the Gate of Horn in Chicago without explicitly portraying real artists or folk music powers like the impresario Albert Grossman. Working with the producer Scott Rudin, their collaborator on both True Grit and No Country for Old Men, the Coen Brothers shot the film in New York City and elsewhere last year and finished the movie at their own pace. They could have rushed it into the Oscar season but chose to bide their time. T. Bone Burnett, who provided the old time music of O Brother, Where Art Thou?, also produced the music for Inside Llewyn Davis. Mr. Burnett has helped to re-create the brief flowering of a folk scene that in the early '60s made Washington Square and its environs an unlikely crossroads for musical influences from Appalachia, the Deep South, the Far West, New England - almost anywhere but New York's neighborhoods, from which some of its heartiest practitioners, and Llewyn Davis, arrived.